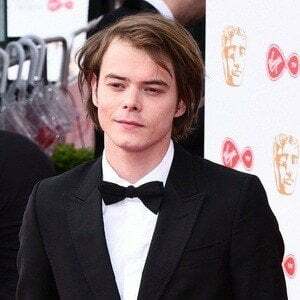 Rising actor who became best known for his portrayal of Jonathan Byers in the Netflix hit series Stranger Things. He starred in the 2016 horror film Shut In and has other film credits in As You Are and Urban & the Shed Crew. He moved to London when he was 16 years old. He was the drummer of a noise-rock band called Comanechi. He debuted as an actor in the ITV series DCI Banks in 2015, and was a guest on the long-running series Casualty. He has a sister named Levi Heaton. He had a son named Archie with his former bandmate and ex-girlfriend Akiko Matsuura in 2014. He began dating his Stranger Things co-star Natalia Dyer in the summer of 2017. 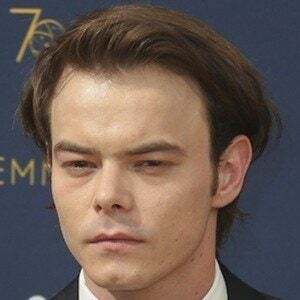 He played the television son of Winona Ryder and brother of Noah Schnapp in Stranger Things.